Though both Venus in Pisces and Mars in Leo thrive on romance, their elemental mix of water and fire make them uniquely different when it comes to matters of the heart. Mystical, magical and attuned to the fluid rhythms of the ocean, Venus in Pisces craves an otherworldly connection with a lover. Highly sensitive, this Venus needs to be pursued gently, and with a cautious approach. Venus placed in the sign of the Fish is pleased by nature, art, music and kindness. One of the most compassionate of all the planetary combinations, Venus in Pisces loves with an open heart and lacks a need to judge or criticize her partner. However, this Venus may also have a hard time loving just one person — her love is so vast and all-consuming, there can be a need to share it with the multitudes. Though this “big love” can be a pleasure to receive, fiery Mars in Leo may prefer a more personal and attentive approach. Mars placed in the sign of the Lion is dramatic, expansive and generous, courting his romantic interest like a knight wanting to prove his worth. Craving adoration, attention and an audience, this Mars may sometimes feel a bit let down by Venus in Pisces’ somewhat vague and spiritual approach to love, preferring a more robust and straightforward response to his demonstrative Leonine nature. 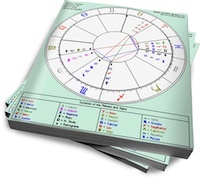 This combo can find a place to meet in the middle if Venus in Pisces and Mars in Leo work to cultivate a recognition of the gifts that are inherent in their individual differences. In this way, Mars in Leo may come to appreciate the otherworldly mystique, beauty and creativity that Venus in Pisces brings to a relationship, and Venus in Pisces will recognize the openhearted generosity and childlike enthusiasm that Mars in Leo offers up with a sunny smile. Thanks for this post.What if someone has both venus in pisces and mars in leo…what will happen with this mixture? Hi, I need a venus in pisces with a mars in sag, a venus in scorpio with a mars in aquarius, and a venus in cancer with a mars in leo.